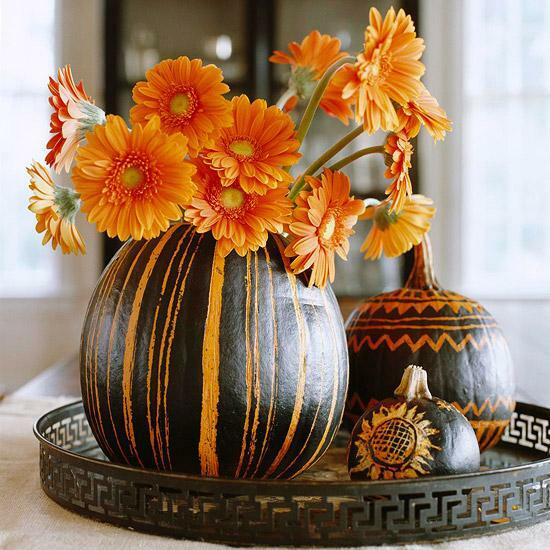 Traditional Halloween and Thanksgiving decorating ideas look even more colorful and creative with flower arrangements in handmade pumpkin pots. 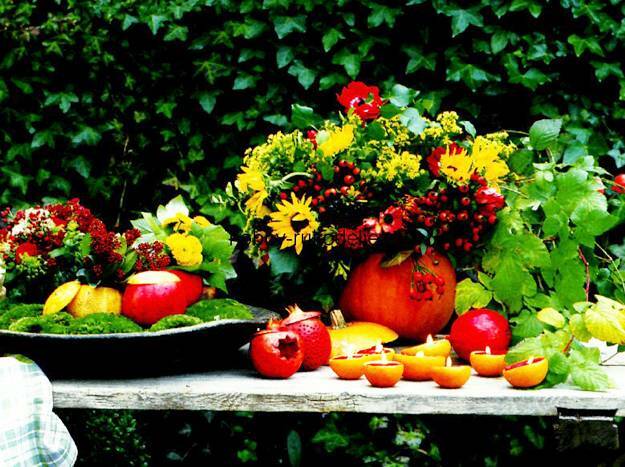 Fall flower arrangements bring the warm and earthy tones of autumn and beautiful fall decorating with rustic and natural feel. 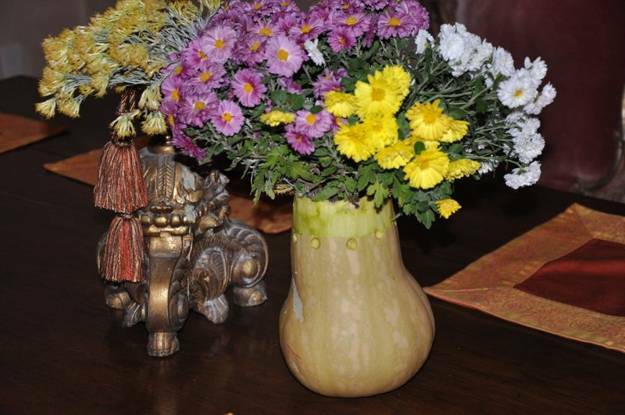 Handmade pots and vases for fall flowers can e created of pumpkins and small gourds. 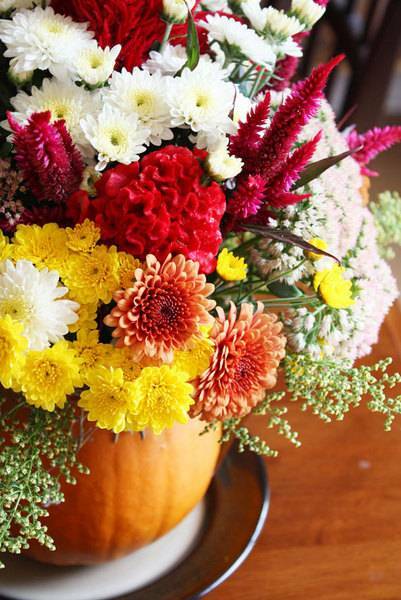 Fall flower arrangements in red, orange, yellow and purple colors look fantastic with yellowish orange colors of pumpkins, green, white and brown colors of gourds. 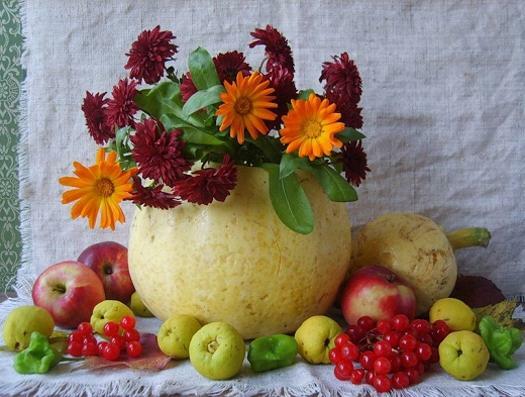 Handmade pots and vases made of pumpkins and gourds can be decorated with ribbons, buttons and feather decorations, These wonderful pots can be filled with pine cones, acorns, fall leaves or fall fruits and vegetables. 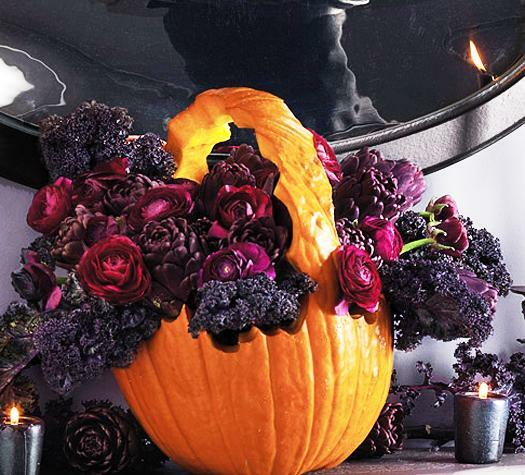 Adding fall flower arrangements to handmade pumpkin pots and vases creates stunning Halloween decorations and Thanksgiving centerpieces. 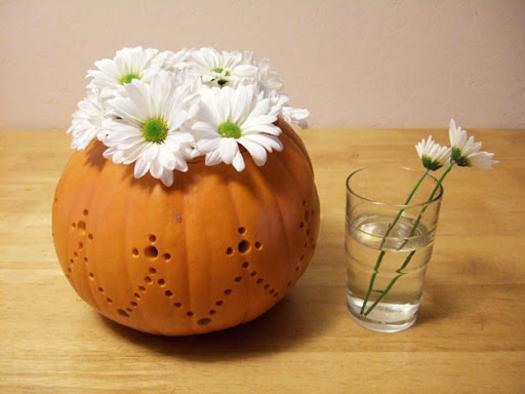 You can carve any design you like on the top part of your pumpkin pot, adding an artistic touch to your creation. 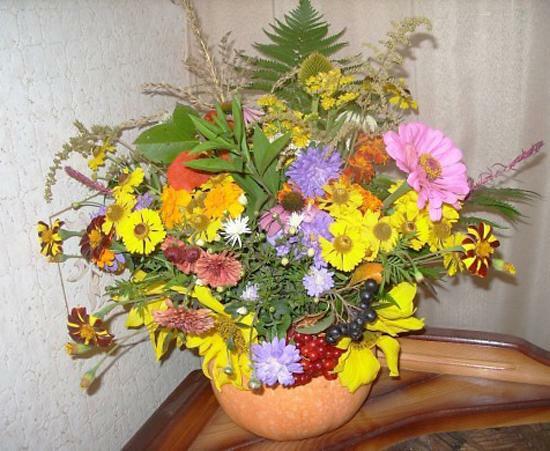 Fall flowers can be combined by colors, sizes or types, creating fresh, different and surprising fall flower arrangements. 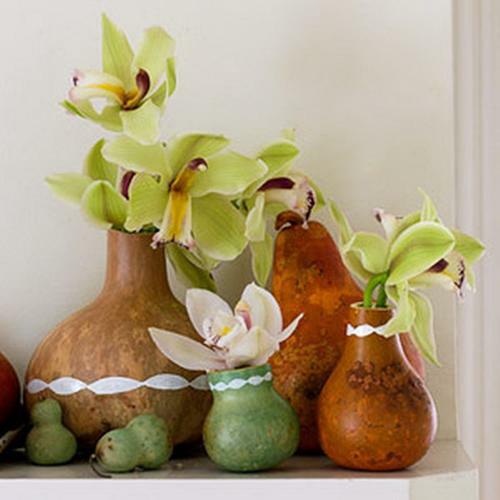 Fall flowers and pumpkin pots or vases are a wonderful way to add bold splashes of color to any of your fall decorating ideas. 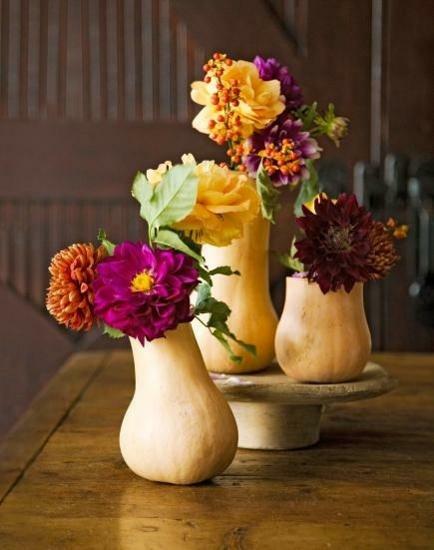 Here is a collection of gorgeous fall flower arrangements that use pumpkins and gourds as pots and vases for bright autumn leaves and fall flowers. 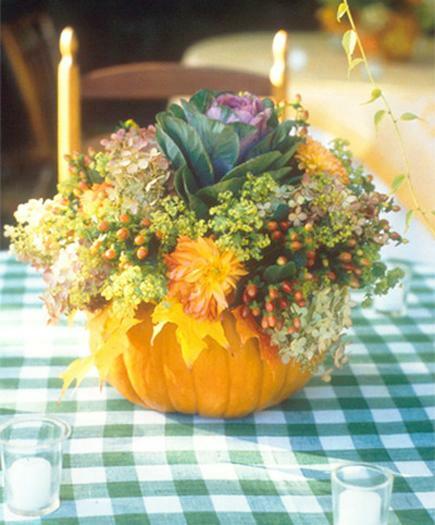 Place you flowers in a basket, cache pot or hollowed out pumpkin. 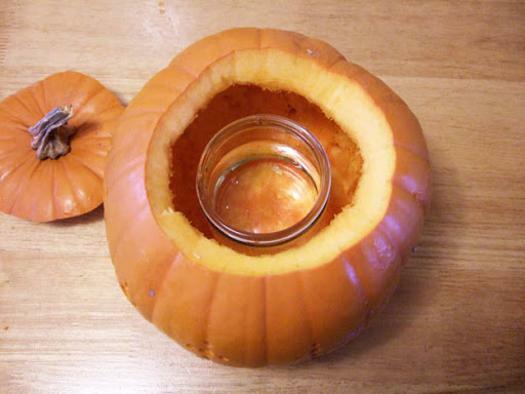 You can hollow the pumpkin out and place your potted flowers inside or use a water container for cut flowers. 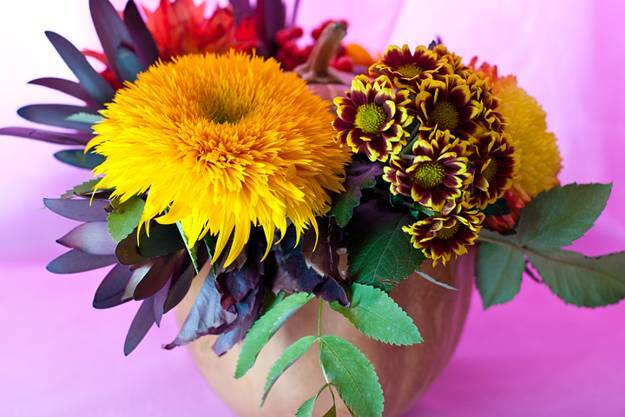 Use a plastic water tray under the pot with potted flowers. 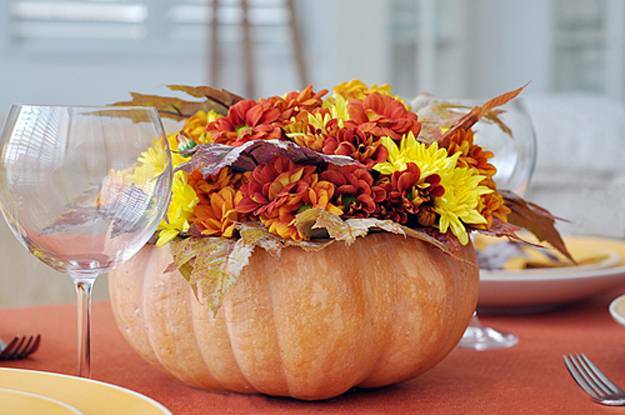 Insert a few fall leaves into the pumpkin pot and add a few more around the pot and on the table. 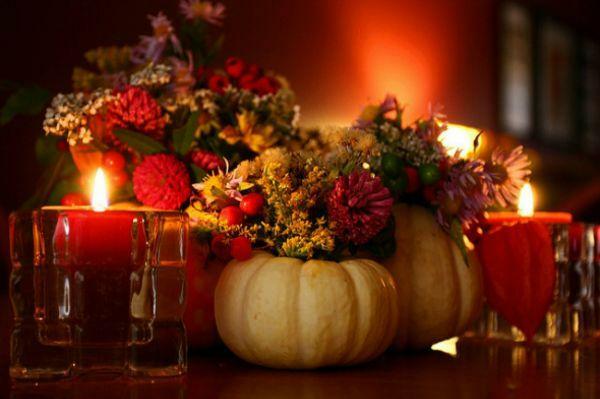 Add several mini pumpkins, acorns, pine cones, apples or lemons to your table centerpiece, decorating the table around the pot. 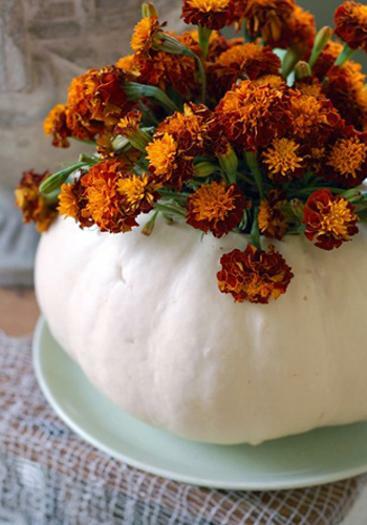 You can use a leftover pumpkin from Halloween for making beautiful fall arrangements for Thanksgiving table centerpieces and all events in fall.